A three-bottle pre-release set featuring our best limited-edition wines. Presented in a wooden box. Only 25 sets available. Our Collector's Edition pre-release three-bottle gift set includes one 750 mL of the finest wines. 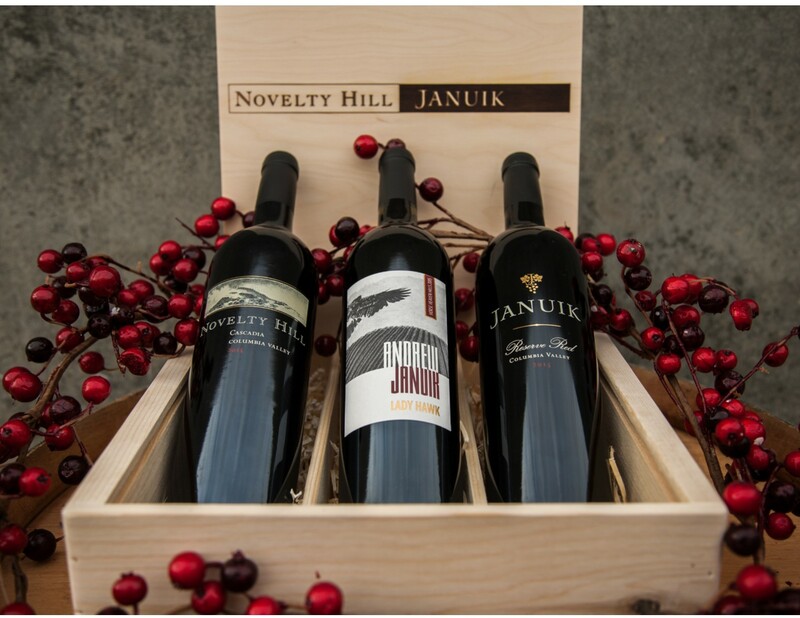 All presented in a handsome wooden box: the 2016 Januik Reserve Red, 2016 Novelty Hill Cascadia Red and 2016 Andrew Januik Lady Hawk Cabernet Sauvignon. All three represent the best of an outstanding vintage that produced concentrated, extravagant wines with a remarkable balance of power and finesse. Only 25 sets available.